Just a year after then US President Barack Obama announced the lifting of sanctions on Myanmar, the White House is considering reimposing targeted ones. In Europe, which Myanmar military chief Min Aung Hlaing toured earlier this year, officials have suspended invitations to him while reviewing defence cooperation. The change in tack comes amid persistent reports of human rights abuses in Myanmar against Rohingya Muslims, who say they have been raped, tortured and expelled from their homes by security forces in Rakhine state since August. Targeted sanctions help draw a distinction between the military and the civilian government, which had little say on developments in Rakhine. It highlights the relatively few levers of power that Myanmar's de facto leader , Ms Aung San Suu Kyi, wields while she runs a government under the military-crafted Constitution. But analysts say such sanctions would be symbolic at best, and aggravating at worst. 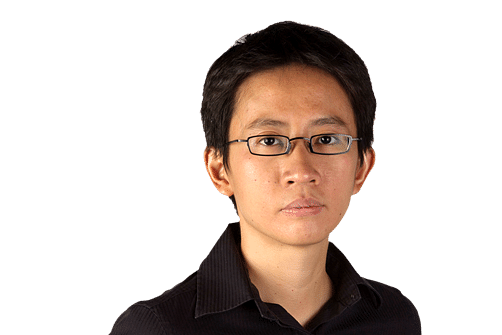 "At this stage, no targeted sanction would have much impact on the military," Tagaung Institute of Political Studies analyst Soe Myint Aung told The Straits Times. "The West has maintained arms embargoes and Myanmar's military elites were accustomed to travel bans, asset freezes and other forms of international isolation. Suspending military-to-military ties is a minor setback for the Tatmadaw." The Tatmadaw - as Myanmar's military is called locally - shrugged off international sanctions and ruled Myanmar with an iron fist for five decades before it staged a careful withdrawal from the front lines of government from 2010. While Ms Suu Kyi's National League for Democracy (NLD) party maintains a ruling majority in Parliament and forms the government, the Constitution states that the Tatmadaw chief appoints the ministers for defence, border affairs and home affairs. At this stage, no targeted sanction would have much impact on the military. The West has maintained arms embargoes and Myanmar's military elites were accustomed to travel bans, asset freezes and other forms of international isolation. Suspending military-to-military ties is a minor setback for the Tatmadaw (military). MR SOE MYINT AUNG, Tagaung Institute of Political Studies analyst. Recognising this, India gave Myanmar commander-in-chief Min Aung Hlaing a statesman-like welcome during his week-long tour of the country in July. Over the past year, he has also addressed the European Union Military Committee in Brussels, visited Italian military equipment makers in Turin and met German armed forces chief Volker Wieker in Berlin. In Myanmar, the Rakhine crisis has given the Tatmadaw tailwinds. It has capitalised on the majority view that the Rohingya do not belong in Myanmar, and projected itself as the country's protector after Rohingya militants staged an attack in Rakhine on Aug 25. International attention on the plight of 600,000 Rohingya refugees who fled Myanmar have only hardened domestic perception of foreign bias towards this minority - which many locals now associate with terrorism. In downtown Yangon on Sunday, thousands of people rallied in support of the Tatmadaw. Mr Murray Hiebert, deputy director of the South-east Asia Programme at the US-based Centre for Strategic and International Studies, told ST: "US criticism of the treatment of the Rohingya has been widely rejected inside Myanmar, so further sanctions are not likely to garner much support even by pro-democracy activists in the country who supported sanctions against the junta during the years of military rule." Years of Western sanctions on the Tatmadaw and its cronies have inured Myanmar's businessmen to such constraints, while ceding space for Beijing's influence to flourish. "We've been sanctioned like nobody's business (in the past)," said managing director Moe Kyaw of Yangon-based Myanmar Marketing Research and Development. "We will just go on doing business like we do best." China, which now gets oil via a pipeline running through northern Myanmar, has been restrained in its comments on Rakhine. In September, Foreign Minister Wang Yi said Beijing "understands and supports" Myanmar's efforts to protect its security while expressing sympathy for the refugees. Analysts say targeted sanctions may complicate the workings of an NLD government where three key Cabinet ministers are military officers. "Sanctions will make life tougher for the NLD government," said Mr Soe Myint Aung. Among other things, Ms Suu Kyi's 19-month-old government needs the military's cooperation if it wants to hammer out the terms of lasting peace with ethnic armed groups across the country. Sanctions, even if targeted at the military, may end up crimping the civilian administration wedded to it.